Do not let their humble appearance fool you, these wraps are downright delicious and taste like a guilty pleasure without the guilt! I am a big fan of the Asian-flavored lettuce wraps at P.F. Chang’s and when I was brainstorming ways to use the leftover burger-seasoned ground beef from my Cheeseburger Pizza, this is what I came up with. I recommend storing any leftover meat mixture in the fridge immediately because otherwise you will be tempted to eat it out of the bowl with a spoon! Trust me. These may not be the prettiest or fanciest things I’ve made but they’re a great way to get all the yummy flavors of a juicy, cheesy burger in a low carb, low point way. Mist a large skillet with cooking spray and bring to medium heat. Add chopped onions and sauté until cooked. Add ground beef and Hamburger seasoning and cook until meat is browned. Drain meat. Place meat in a medium bowl and add ketchup, mustard and cheese wedges. Stir to combine. Microwave on high for one minute. Stir again until meat is evenly coated. 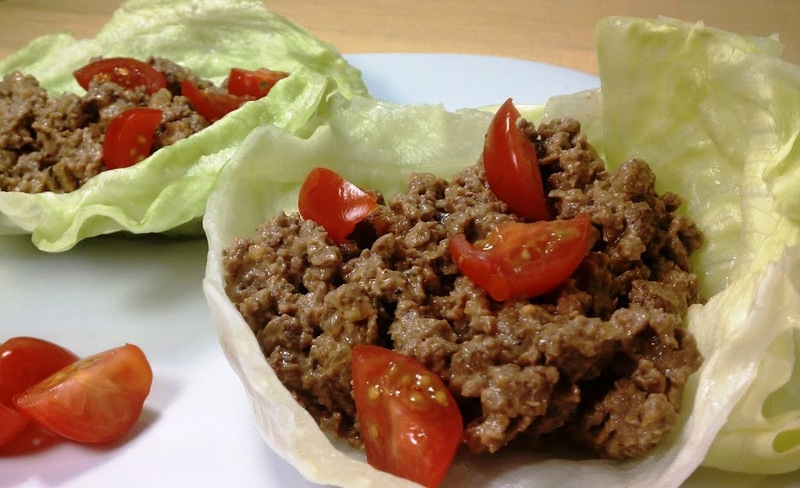 Spoon 1/3 c of meat mixture into each lettuce cup and sprinkle four tomato quarters onto each and serve. These were awesome! Even my picky eater husband loved them and took one to work the next day for lunch. Very easy to make. I will be making these again. OMG this was great. I was a little worried that the cheese wouldn’t melt in well, but it comes together quickly and is SUPER tasty. Emily I am growing to LOVE your blog! Thanks so much, I’m happy you enjoyed these! I LOVE THIS! These are great. They look so simple but man these bad boys have got flavor!!! I want to eat these everyday for a year. These are delicious, easy and low carb! I love these and also feel like eating them everyday for a year. My girlfriends and I have made them for dinner the last 2 nights in a row! Thanks Emily! Sooooo yummy and easy! This was the 1st recipe I tried of yours and I can’t wait to try more! You are right about putting the meat away right away! My hubby LOVED these too! I’ve made this several times and the ingredients are perfect, but I prefer to put the cheese in a small bowl in the microwave by itself and then add to the pan. Easier that way. Delicious recipe! I can’t wait to try these and all of your other recipes….just had lap band sugery and am waiting to get off the liquid phase….your site was referred and there are several recipes that sound just delicious!! I added some pickles as well. This was delicious. Just made these tonight. I wasn’t expecting to LOVE them, but they were delicious! I couldn’t stop myself from eating the meat from the bowl! The ketchup and mustard mixed into the meat really made this dish. I will definitely be making this again! I knew I would love these after the cheeseburger cupcakes – and they were amazing! I used green cabbage instead of lettuce because it’s what I had on hand. I’m thinking cheeseburger quesadillas with the leftovers? Yum! 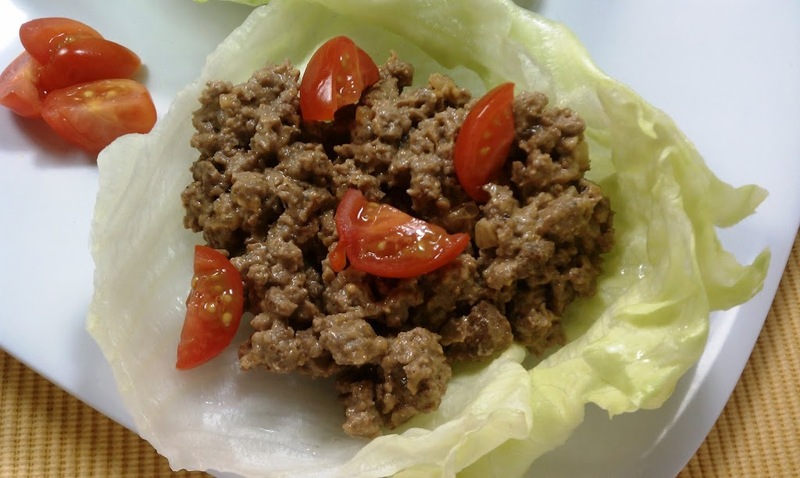 It would help if you put the WW Points on the recipe I googled lettuce wraps and yours popped up as a WW one. I love the idea of satisfying my cheese burger craving without having to quit my diet for the day thanks for this yummy treat. The WW points are right at the end of the recipe! Excellent and simple recipe! This seriously cured my cheeseburger craving.. and kept me away from Five Guys today… Delicious as-is… no changes! 🙂 Thx for sharing! Wow! Another great recipe! I found your site around the time you got started then fell off the ww wagon. I recently jumped back on and I don’t know how I would stick to it without your amazing meals! I am going to try one each night for the next week 🙂 this one is staying in rotation for sure. So for two of these wraps, its only 5 points plus?? I love this recipe. Recently the lettuce I had on hand just wasn’t cooperating as far as using it as a wrap was concerned, it kept breaking, so I just chopped all the lettuce up put it in my bowl, measured out the 2/3 cup of the meat mixture and added a little bit of lo-fat balsamic vinaigrette (since I had added a lot more salad, I thought it needed dressing, but not much!). It was AWESOME! 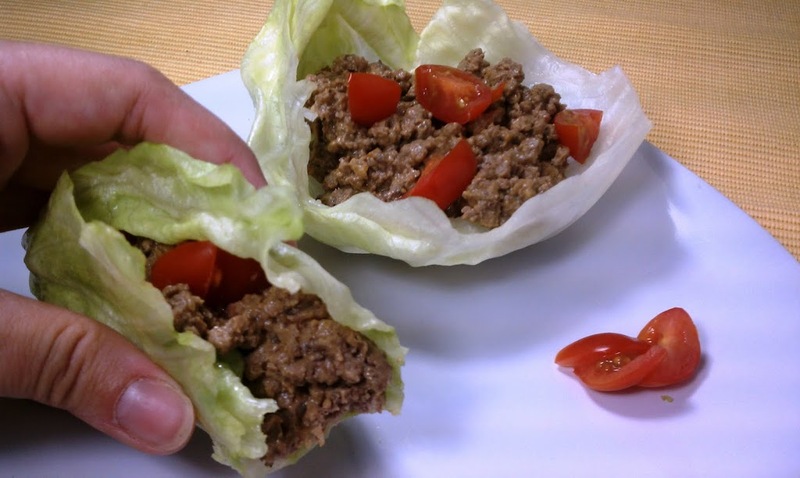 In the past, I had happily spent the 10 pp to double my dinner and have 4 wraps, but with the added bulk of more lettuce and tomatoes, I was MORE than satisfied with the 2/3 cup of the delicious cheeseburger mix in the salad. SO GOOD! Suggestions for a different cheese? I love this recipe I’ve made it a couple times but I can’t find that type of Laughing Cow cheese anymore.